Bandaranaike International Airport is a single runway airport which was constructed in the year 1986. Over 900,000 aircraft movements were handled and no major repair works were carried out since then. Due to number of aircraft operations taken place and aging serious distress and cracks were appeared on the Runway Pavement. ICAO Audit and Annual Audit of Director General of Civil Aviation Authority made observations on the requirement of overlay/resurfacing of the runway. 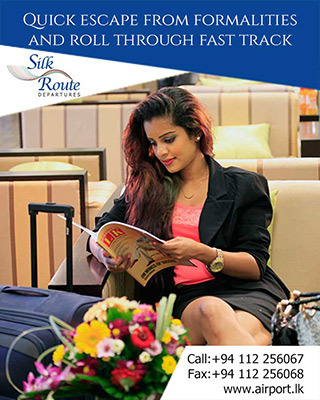 Airport and Aviation Services (Sri Lanka) Ltd. (AASL) with the guidance of Civil Aviation Authority of Sri Lanka (CAASL) and Government of Sri Lanka was able to carry out this task to the level of excellence during three months period from 6th January 2017 to 5th April 2017 with 8 hours of runway closure. The scope of the work included runway shoulder widening, Taxiway overlay, fillet widening, upgrading of aeronautical ground lighting systems and etc. The Contract was formulated as Design and Build Contract. The Netherland Airport Consultant (NACO) was the Project Consultant for the Design Review and Construction Supervision. China National Aero Technology International Engineering Corporation (CATIC) was the Design and Build Contractor for Runway Overlay Project. Work commenced in Sept. 2016 and total contract period is 12 months. However the period specified for the runway overlay works was 03 months. As BIA is a single runway airport operating 24 hours the closure of the runway for overlaying was a very difficult task. Hence, AASL/DGCA had explored the possibility of the options for overlaying of runway without obstructing flight operations. 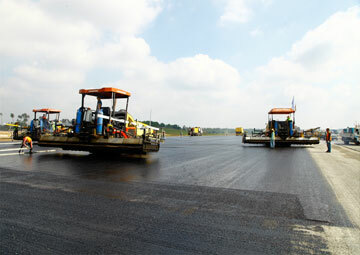 After an in-depth study, the expert team recommended that the only viable option available was to commence the runway resurfacing during part of the day after closing the runway for commercial operations, as there was no viable alternate solution for complete closure of BIA for maintenance. Accordingly, the Government decided to close the runway for a period of eight hours per day consecutive period of three months in consultation with all stakeholders. Prior to begin the construction extensive studies were carried out for the operational characteristics during the expected runway closure, which divided into three major areas such as airside operations, land side operations and road traffic in and out, to and from the airport. Construction works was commenced as scheduled and also completed to the dates agreed in the Contract. Resource planning, maintaining required quality, maintaining progress and safety were the most difficult part in this process. Safety over five hundred of workers in aircraft operation area with another hundreds of equipment and moving vehicles were not an easy task. Finally the biggest challenge faced was the opening of runway on time for safe aircraft operations at the end of the every day's working window. During the first hour after opening of the runway about 16 aircrafts were operated and most of them were landings. 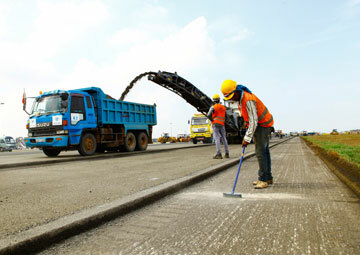 However, that taxiway civil works were also completed within the declared period of the runway closure. The Project of Runway Overlay of BIA was well planned, properly coordinated and managed with all of the stakeholders. It was observed that all airport operations were carried out properly without any hindrance to the passenger comfort. Success of the project was totally a team work which was lead by the Ministry of Transport and Aviation, CAASL, AASL, Srilankan Airline, other Airlines and all stakeholders of BIA.